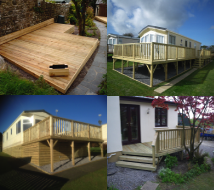 Welcome to WoodWorks – We install Decking, Fencing and Gates in Pembrokeshire. 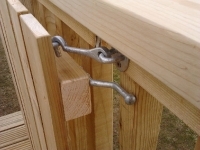 Hi I’m Leon and Welcome to my business that I call WoodWorks. 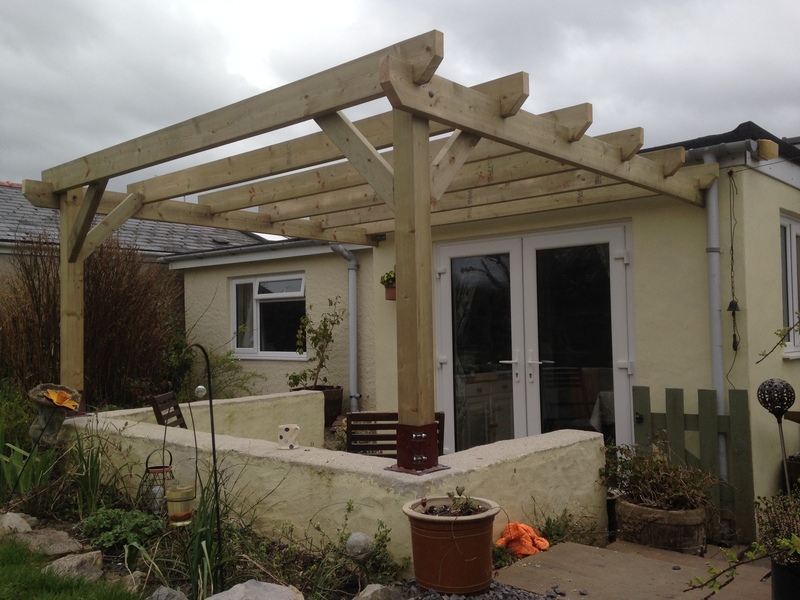 It’s a small Pembrokeshire two-man team which specialises in outdoor timber work because I love working with wood and I can’t stand working indoors! With over 10 years of experience we install decking, fencing and gates anywhere within a 20 minute drive from Kilgetty (SA680XS) (please check google maps and note that it’s 20 minutes, not miles!). 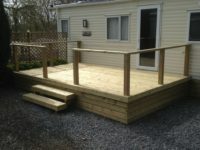 We don’t serve properties further away than this. 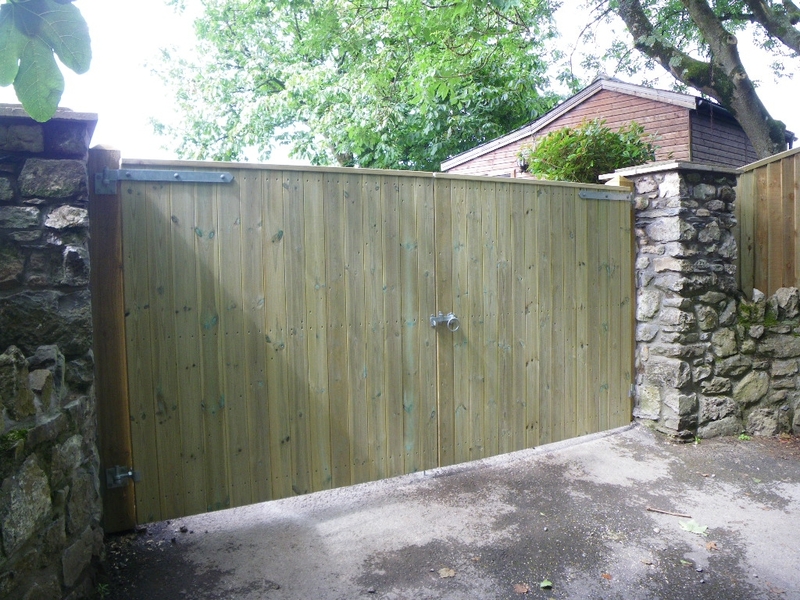 If you live within our radius we offer free written quotations with no obligation to buy. Our prices are simple and clear. 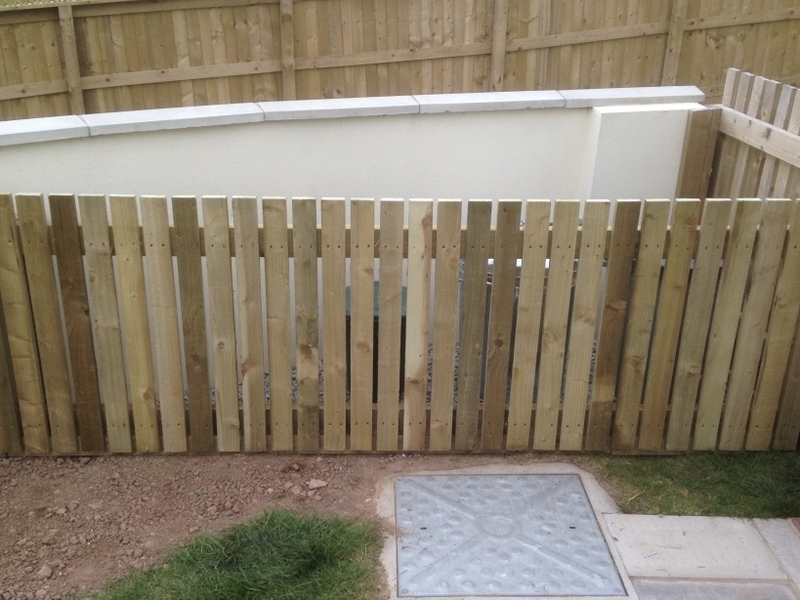 With realistic waiting times and tidy site etiquette with WoodWorks you’re in safe hands. Our site days are generally Monday, Tuesday, Thursday and Friday with Wednesday usually reserved for pricing jobs, ordering materials and stock and all that stuff that comes with running a business . Enjoy our galleries but don’t be too swept away by the pretty pictures – I believe in not over-selling, or encouraging people to spend on things they don’t need. 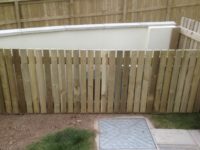 We do build things to last but do you really need that posh fence or decking or would you be better off saving that money or giving yourself a few weeks off work and maybe even having a go yourself? 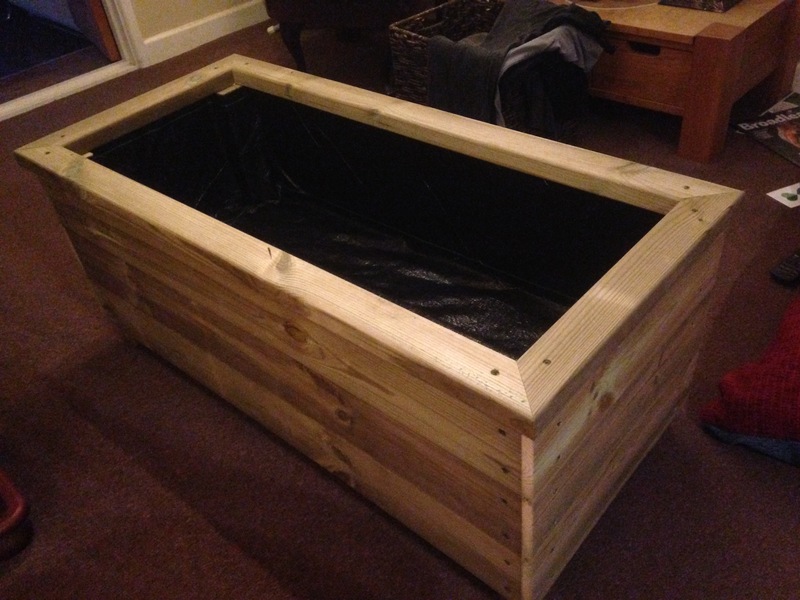 However if you are still interested we’re here to help… contact Leon using the details above :-). 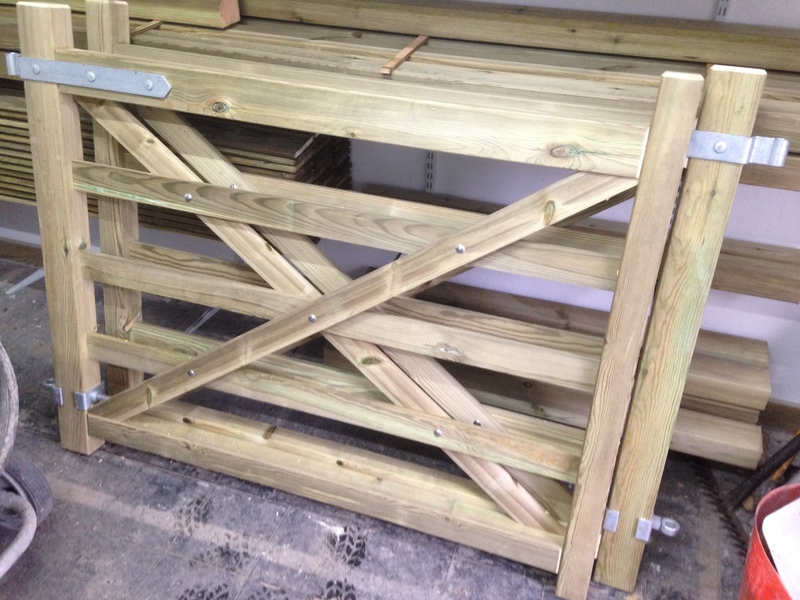 Nov 2018 – Pair of 5-bar gates including pedestrian gate in St Florence. 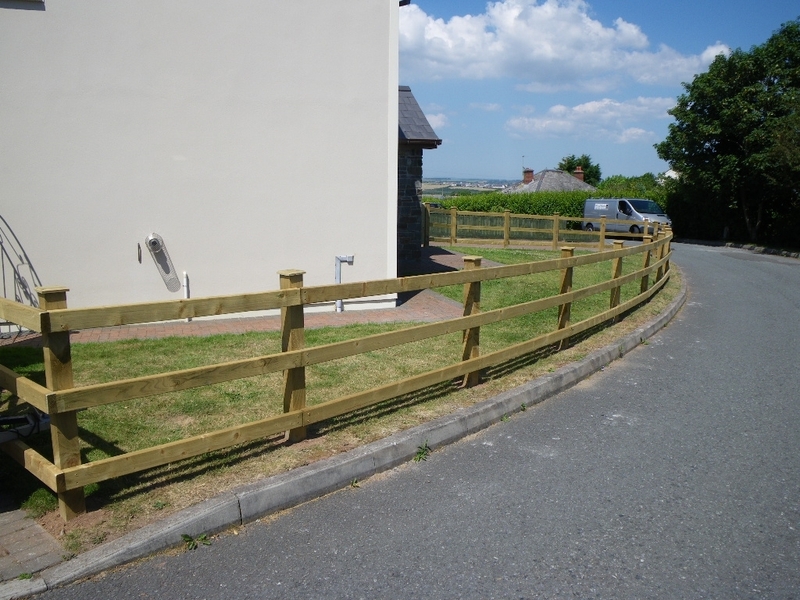 Oct 2018 – Round top Picket Fence at the front of a property in Saundersfoot. 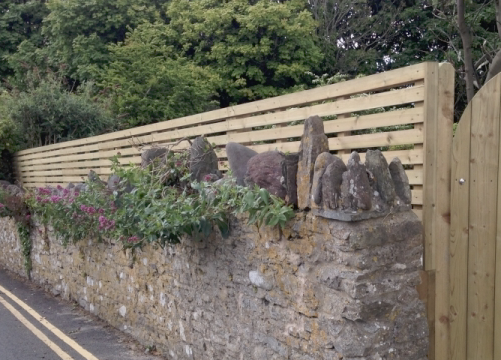 Oct 2018 – Feather Edge Fencing bordering the pavement in Saundersfoot. 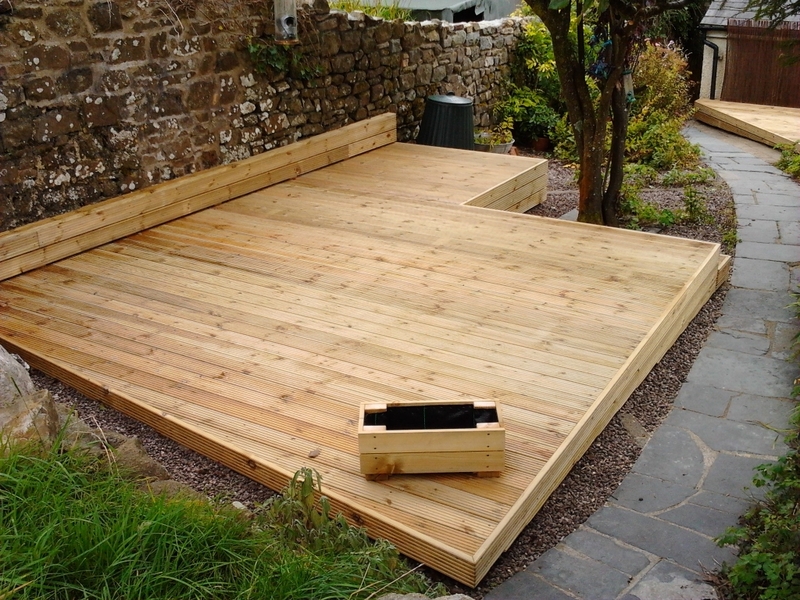 Sep 2018 – Simple Decking on a terraced garden in Kilgetty, awaiting steps. 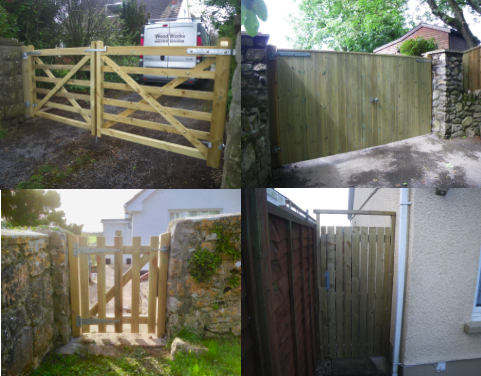 Aug 2018 – Small Pair of 5-bar gates in Cosheston. 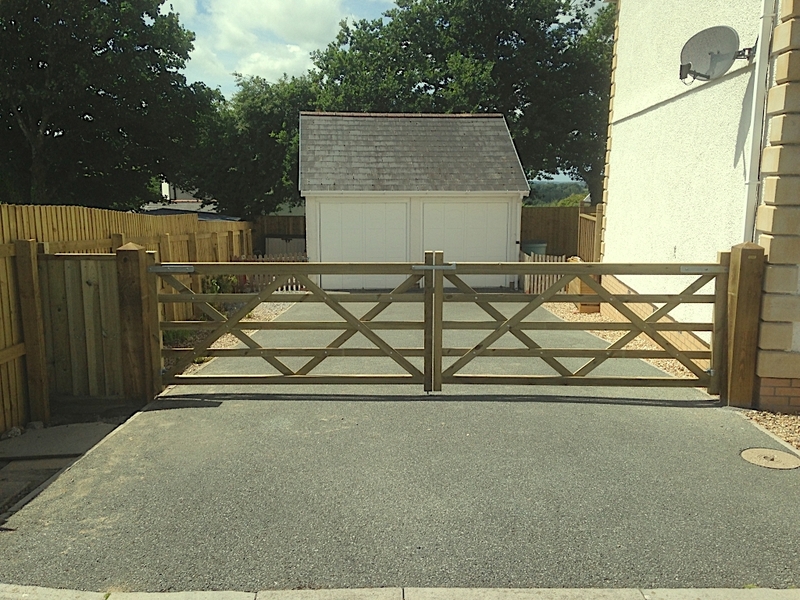 Jul 2018 – Large Pair of 5-bar gates in Llandewy Velfrey. 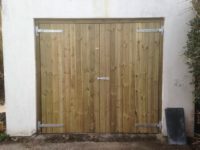 Jul 2018 – Matching Tongue and groove Garage Doors and wall in tenby. Jun 2018 – Large Caravan Decking on Windmills Caravan site, Tenby. 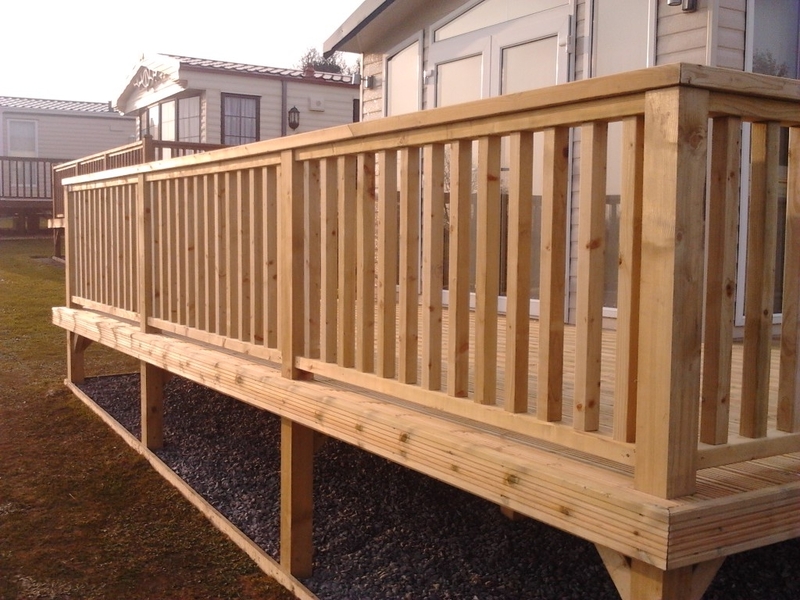 Apr 2018 – Raised house Decking with big staircase and storage. 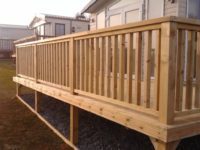 Mar 2018 – Raised Caravan Decking on Wiseman’s Bridge Caravan Park. 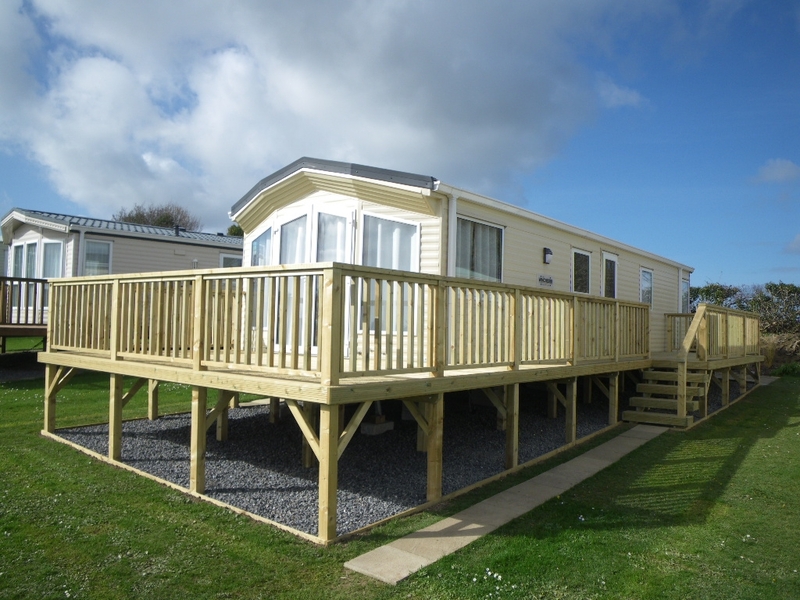 Mar 2018 – Caravan Decking with glass panels and rubber boards in Amroth. 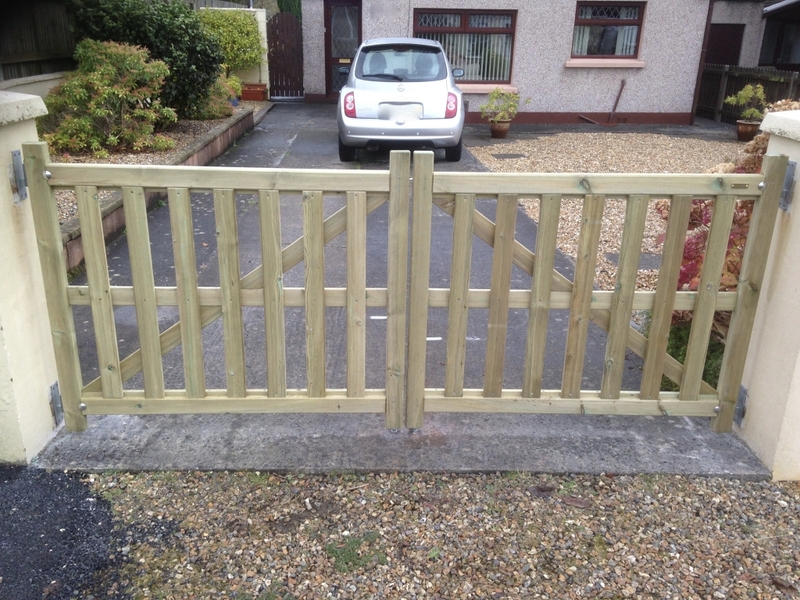 Mar 2018 – Supply only of 3 made to measure 5-bar gates in Kilgetty. 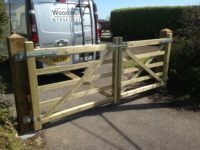 Feb 2018 – Made-to-measure pair of 5 bar timber Gates in Penally. Feb 2018 – Tall Solid Tongue and Groove Gate at Haverfordwest. 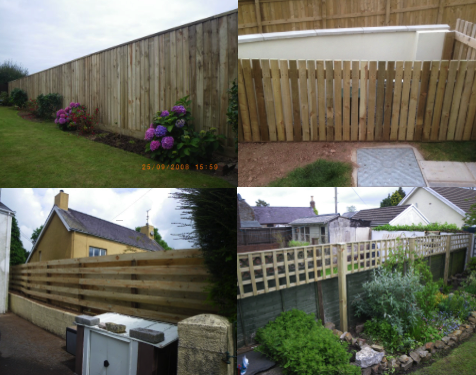 Jan 2018 – Long Feather Edge Fencing 6′ Tall in Haverfordwest. 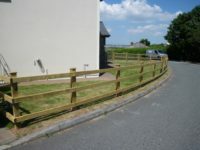 Jan 2018 – Feather Edge Fencing and Solid Gate in Haverfordwest. 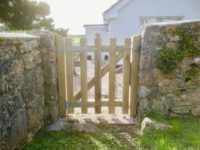 Dec 2017 – Feather Edge Fencing and solid Gate in Pentlepoir. 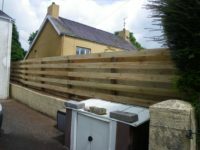 Nov 2017 – Little Picket Fence in Pentlepoir. 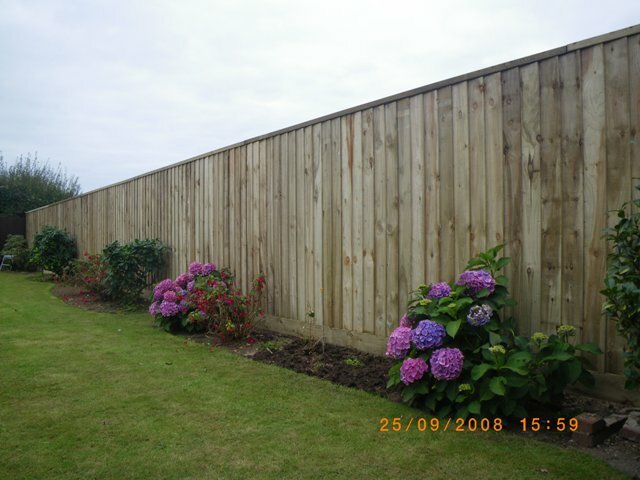 Our timber comes under certified schemes that look after the world's forests. 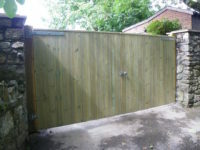 All our timber is "Tanalith E" pressure treated. We even treat the cut ends! 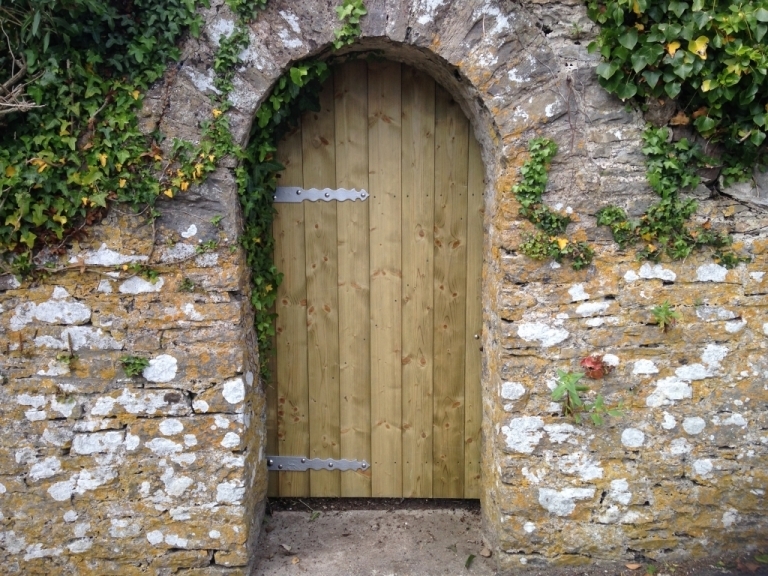 WoodWorks neutralises its carbon emissions with 216 trees planted to date! 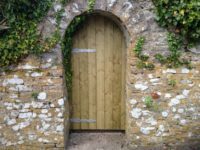 WoodWorks gives at least 1% of profits back in environmental donations.